‘Regression’ a word that is thought of with a lot of pain by software testers around the globe. We are aware of how mentally taxing yet indispensable Regression testing can be for a release window. Sometimes, we even wonder whether regression testing is really needed? Why do we need to perform it when a bug-free software can never be ready? Well, the answer is Yes! We need to perform regression testing on regular basis. The reason we do so is to discover regression defects. Wondering what regression defects are and how you can deal with them effectively? Well, in this article, I will be addressing key points for you to be aware of what regression defects are! 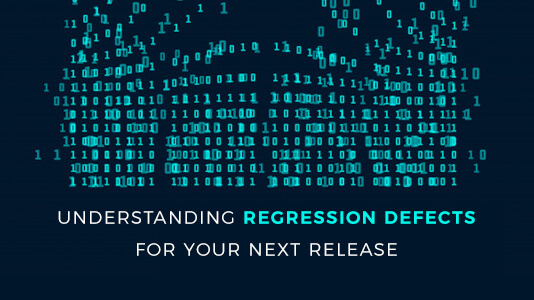 How you can discover and handle regression defects for a successful release. So, What Are Regression Defects Bugs? Often during software testing, some bugs are detected and a quick bug fix is carried out. Regression testing is executed in order to ensure that the bug fix didn’t cause any abruption in the application’s intended functionality. 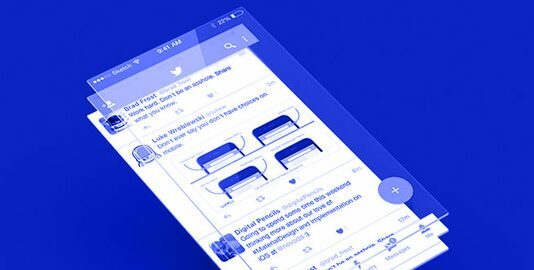 When some bugs are found to be occurring as a result of the bug fix, those are known as regression bugs. For example, let’s say your login page is having some errors and the developer fixed it. Now, the login page is working fine, but the registration page is causing some validation or other errors which did not exist earlier. The new error may have been caused because of the fix on the login page. This is a regression defect and it is relevant to deal with for delivering a more robust product in the market. Why Regression Defects Are Hard To Deal With? Regression bugs are often unavoidable and need to be fixed before software is released. There are some reasons which make regression bugs a complicated thing to work on. Increase in Project Cost – Regression defects are produced as a result to recent bug fixes in the production will demand you to perform regression testing for the same module over and over again till the regression defects are discovered. Handling regression defects requires a lot of rework, and both, the organization and the client spends a lot of amount in the employee’s billing, only for repetition of the same work. Time Complexity – Regression defects can prove to be a lot challenging when the deadline draws closer. Developers get very little time to fix the newly detected bugs and the rush to fix often results in developers applying certain hotfixes which may not be appropriate according to best practices or coding standards. Agile Velocity Getting Slower – In the current Agile dominated era, developers and testers are always in a rush to finish a sprint and they work hand in hand to resolve the issues. In this scenario, doing repetitive testing of the same module not only consumes time but also becomes frustrating at a point of time when a bug fix results in another new bug. Slowed delivery also becomes a roadblock for software tester to write effective test cases. Maintenance Cost – In Agile projects, the situation may arise that defects fixed in the current sprint may cause some additional defects in the previous sprint. It has to be taken care that frequent testing is carried out on the previous sprints as well as the part of the application that is already in production, thereby increasing the maintenance cost. Monitoring the test data and other metrics. Incorporate Shift-Left testing in your test cycles. 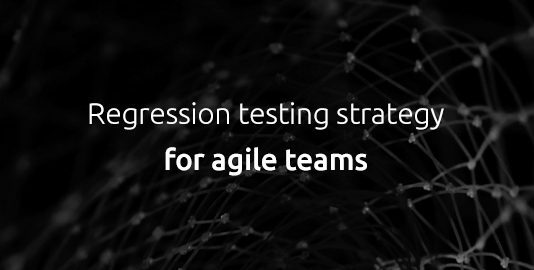 Automate your regression testing process to make your releases less monotonous, more fast and accurate. Now, we have a look at these in detail for effective handling of regression defects. Bugs found while testing is not only meant to be detected and fixed. They often tell a story. Especially regression defects tell a lot about coding, coverage of previous test cases and the extent of integration of testing and previous development. Monitoring the metrics help to check the proficiency of the entire software life cycle. Maybe the current spring has more defects or maybe due to time limitation, coders and testers had to work in a hurry, resulting in increasing regression defect count. Taking into account the details of those variables is also important to verify the performance of your team which in turn, optimizes the entire regression effort and helps to detect any regression defect that may have been missed. Monitoring the data is also crucial to production and other business operations, thereby ensuring a smooth product release. Traditionally, the testing process is executed post development into the staging environment. However, this way the testers sometimes have to manage an extensive round of testing in a very limited time window. If bugs are discovered late when the release process is drawing near, then you may even have to postpone the release date or if fatal bugs are discovered post migration to production environment then you may even have to rollback the complete release. This not only turns out to be time-consuming but is also strenuous for the employees working in an agile environment. Shift left testing is a methodology where you incorporate testing right from the very beginning of your SDLC(Software Development Life Cycle). Performing Continuous testing using Shift-left testing can be very effective in mitigating risks and outages. Automation testing saves a lot of time when it comes to minimizing regression defects. Especially during unit testing, automated scripts check the functionality at a deeper level and detects logical errors. Writing an extensive unit test script will ensure that regression testing is done flawlessly and quality product is delivered within time. Often, because of delivery deadline getting nearer, and pressure from the management to close the testing phase quickly, testers are forced to close certain minor bugs that have not been fixed. It is better to think about the long run. Make sure the job is done right the first time and it will reward you with a high-quality product and happier stakeholders, along with a short development lifecycle. It can be undoubtedly stated that regression testing is quite expensive. Companies have to spend a huge sum of money to test an application on which testing already has been performed. From the management’s point of view, they will see it pointless to invest such a huge sum since regression testing does not have any return on investment. Minimizing regression defects being your goal, your job is to explain the stakeholders properly, why they need to allow a specific budget if they are expecting a quality product. In the current Agile age, there is always pressure from the management to develop quality applications and deliver them faster. Certain phases of testing are often ignored and regression testing, unfortunately, falls among them. For minimizing regression defects, provide sufficient time to your testers so that they can execute the tests properly for controlling regression defects. Ultimately, speeding your test cycles. Priority 0 – Include sanity test cases that check basic functionality as per business requirement after a major change is done in an application. Priority 1 – This should include the test scenarios that checks all the critical requirements and functionalities. Priority 2 – The test cases included here should have moderate value to the project. Prioritizing test cases will reduce the time complexity and help you in controlling regression defects. Controlling regression defects often becomes quite complex when the application has a larger scope and it requires the team to make frequent code changes. If you categorize the test cases, testing becomes easier and faster. Let’s see the 2 categories under which you can distribute your test cases. Reusable – Test cases which are used repetitively in the regression cycle falls under this category. They can also be automated and executed after a new build. Obsolete – Bug specific test cases that can only be used in a single test cycle can be categorized here. While reviewing the fixed bug, not only testers, but the entire team – leads, developers and even program managers should participate evenly. This can cost a few hours but in the long run, it will reduce the cost of rework and retest. If the expectation bar is set quite high whenever a defect review is carried out, it will automatically help in minimizing regression defects. Set some conditions for entry criteria, like certain conditions based on bug review which should be met before initiating regression testing. For exit criteria, conditions, like executing all the tests and not keeping any defect unfixed, should be met before the test cycle is concluded. Having an entry/exit criteria just like traditional best practices of software testing will definitely help in minimizing regression defects. Impose random testing often. You can make use of exploratory testing. This will ensure that testing has been executed in a proper manner. This should be performed especially after the test cycle has been completed. Test real-world scenarios in those random tests and you will be assured that a quality product is delivered to the stakeholders. Latest regression testing tools will help you in creating bug reports as well as integrate the reports with those bug tracking tools. These tools also help you in capturing a screenshot while executing the test cases. Analyze the reports in detail and make sure that all of them gets fixed before concluding the test cycle for handling regression defects effectively. Regression defects can be quite a time consuming and boring but they are crucial to deal with! We hope that the above-mentioned tips will help in making the process less monotonous and a lot faster for you to get the maximum output out of every release process. Let us know how you deal with regession defects in your organization. Happy bug hunting.